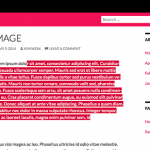 This post is about how to edit or remove Proudly Powered By WordPress Twenty Fourteen child theme in your footer, see another tips of this default theme, about removing left sidebar here. It should work with any themes. 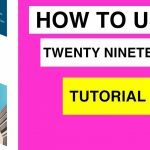 I have noticed some people want to know how to remove powered by wordpress link from their footers especially if they use Twenty Fourteen default theme. 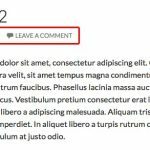 Removing this link is allowed, however that’s the only way we can give WordPress appreciation as it’s a free great blogging platform or software, so leaving their link isn’t bad, however removing or editing it is also allowed. 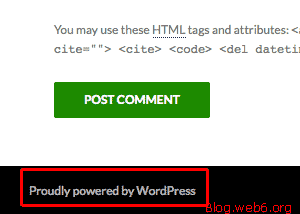 The drawback of having this Proudly Powered By WordPress link is like enabling spammers to easily find blogs powered by WordPress including, our sites. 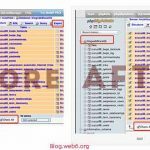 They do have software that can detect our page source like “Proudly Powered by WordPress” in they keywords, and will display any sites that have this link. I do have this software too, that’s why I know how it works. But if you really want to remove this footer link, you can follow the following tutorial. It is not difficult. If you watch the video, I actually don’t entirely remove the powered by wordpress footer text, but I do change Proudly Powered by WordPress text with “built with WordPress” excuse my bad english with “built in” stuff. Note: For some of you, who might find links for “Install wordpress webhosting” (see image), those links are provided by your webhosting provider, they can be disabled by deactivate their plugins, in Dashboard/plugins. If you can’t find the plugin, contact your host. 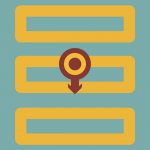 Additional links from your webhost. 1. 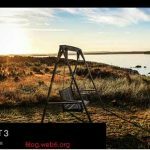 Creating Child theme of Twenty Fourteen, so when next time the Twenty Fourteen is updated by WordPress.org your modification won’t be gone, check this page out if you want to create one. 2. Accesing your folders and files either by loggin into cPanel, or using any FTP client which is faster and easier, follow this guide first to configure one. 1. 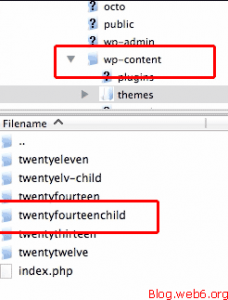 Access your Twenty Fourteen child theme folder, in this tutorial, I am using FileZilla, so I connected to my server with it. It’s inside wp-content, themes, and then the folder, mine is called, “twentyfourteenchild” folder. 2. 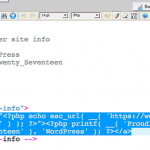 Then copy the footer.php from the original or parent theme, Twenty Fourteen, you could upload it or create new file inside your child theme folder, name it, as footer.php, and copy the content of original footer.php into your child theme’s footer.php. In this video, I copied from wordpress dashboard, so in your dashboard (yourdomain.com/wp-admin), go to “Appearance”, then “Editor”. Be sure it’s “Twenty Fourteen” on the top, and look for footer.php, click it, and copy the content to your child theme’s footer.php. 4. 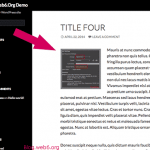 To remove Proudly Powered By WordPress in Twenty Fourteen, delete above code, and replace it with this code, and don’t forget to save and re-upload your file. thanks for shearing such a wonderful article with us, it is very good theme with good features. Thanks, I needed exactly this information for one of our clients! There is no space between the year and my Blog’s name. What do I need to change in order to correct this? Once you did it, refresh your page and clean browser’s cache if it’s necessary. Would you paste the code from footer.php of the child theme in http://pastebin.com/, and give me the URL so I can check the code please? Josh, Are my codes invisible? 🙁 I paste in my previous comment though.